I was on parental leave from the 3rd week in January until September 23rd 2013. Once I settled back to life at the museum, I noticed photos of lizards and a Google Earth image showing an intersection in Nanaimo – and being such a mathematician, I put two and two two-gether (cue a quote from Han Solo, Episode IV, “sometimes I amaze even myself”) and figured that either Wall Lizards (Podarcis muralis) have been transported to Nanaimo – or someone is playing a good joke on me (either is probable). There was no description, and no email with the images, and I have no idea how long the lizards have been present. Nor do I know how many are there (at least two females based on comparison of the photos). These images had been filed away in the rush to get back into museum life, and only today (April 4, 2014) have I re-located them – yes my filing system was a bit messy with overlaps between exotic species folders and in this case, herpetology. 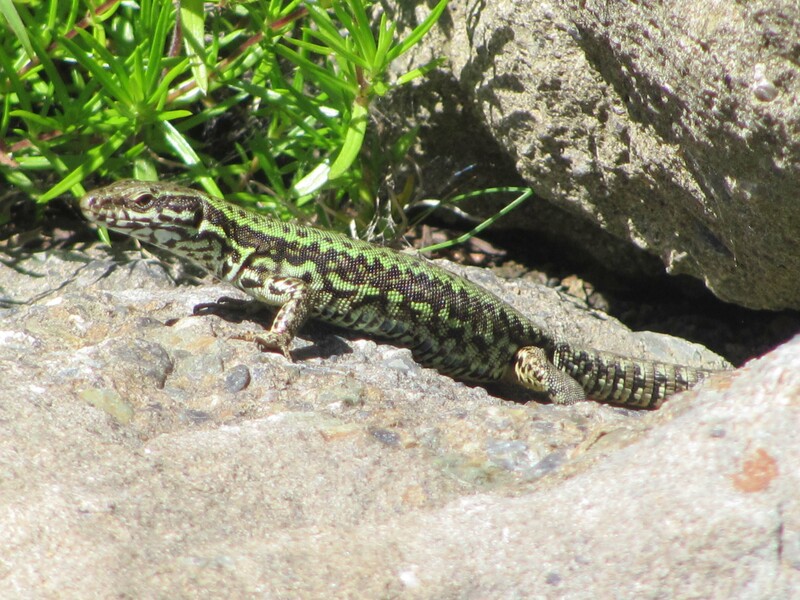 There is some research on these lizards in BC (pdf1, pdf2), but in the last few years European Wall Lizards seem to be spreading northward at an alarming rate. 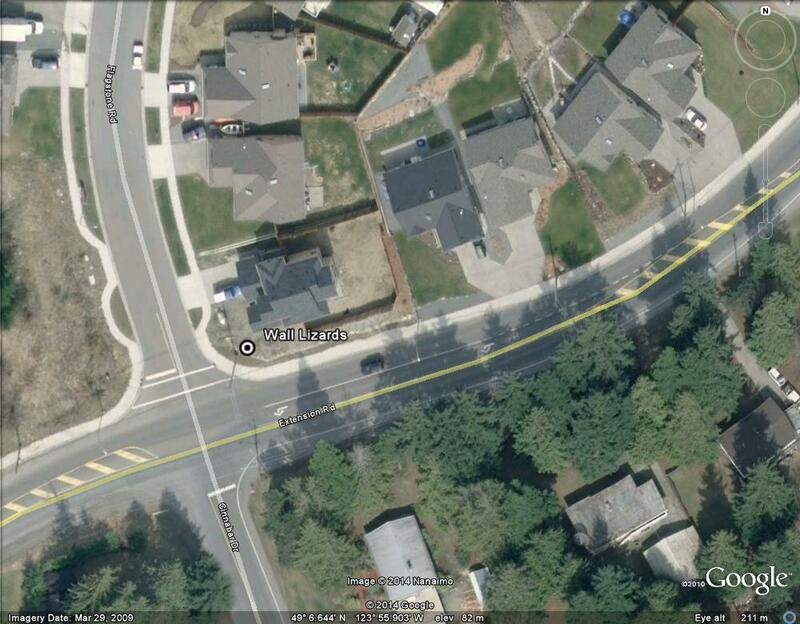 The next three photos from Google Earth show Nanaimo from decreasing altitude to show where these lizards apparently exist. 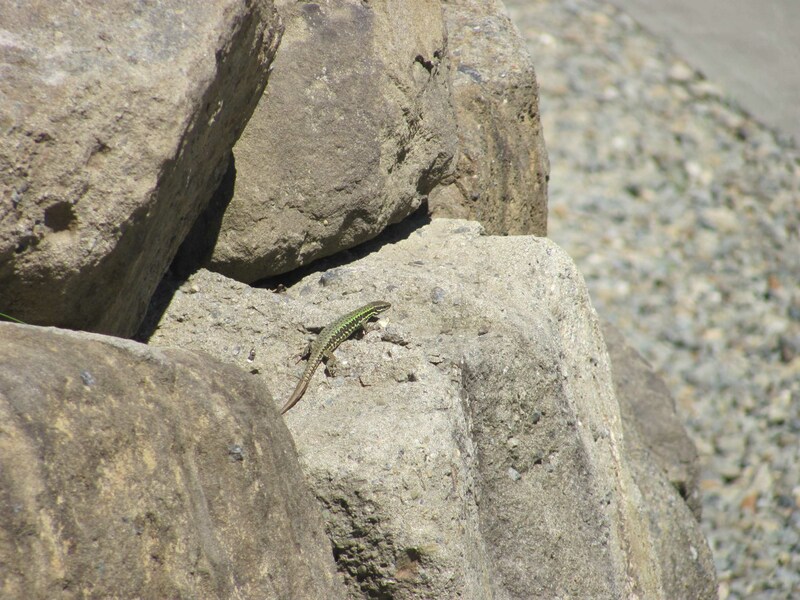 The photo below shows arrows pointing directly at the rock wall which apparently shelters these Wall Lizards. The next series of photos are of the lizards themselves. The Ministry of Forest Lands, and Natural Resources (FLNR) recently moved the European Wall Lizard to schedule “C” wildlife – and that means you don’t need a permit to catch and destroy these invasive animals. 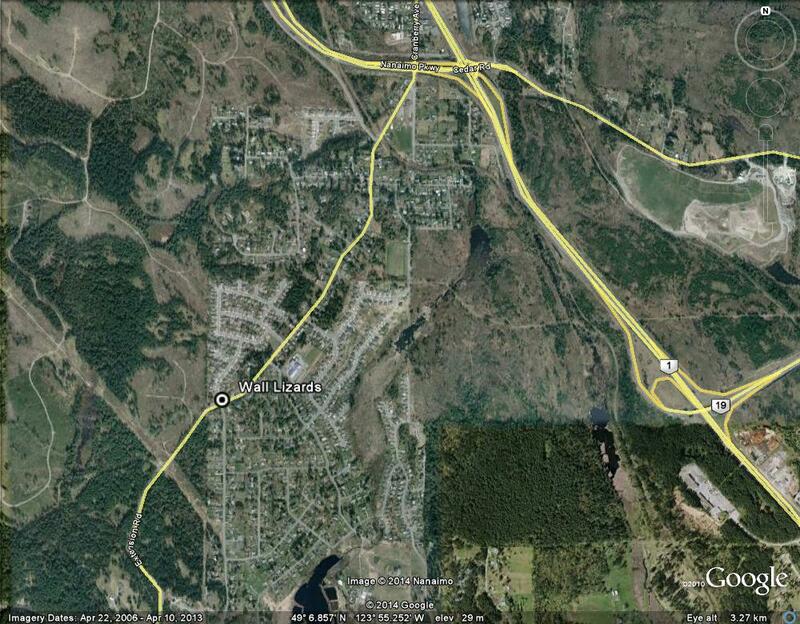 Some time this summer I will drive up and try collect specimens for the museum’s herpetology collection. 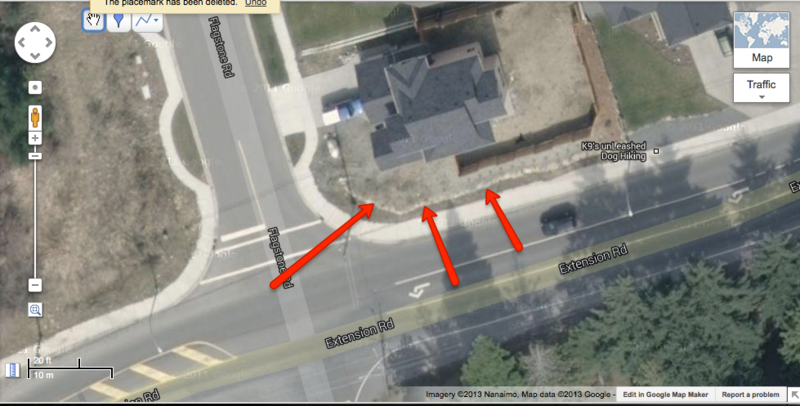 Why can I be so sure they are present???? 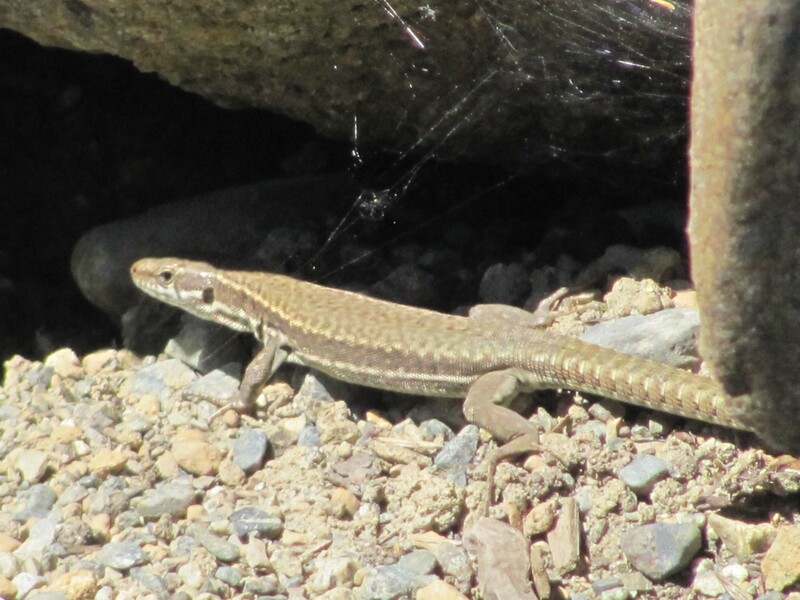 Because I received a new report (June 3rd, 2014) from just up Flagstone Road of other lizards – so obviously a Wall Lizard population does exist up in Nanaimo. Perhaps we can collect enough specimens to end this northern incursion. 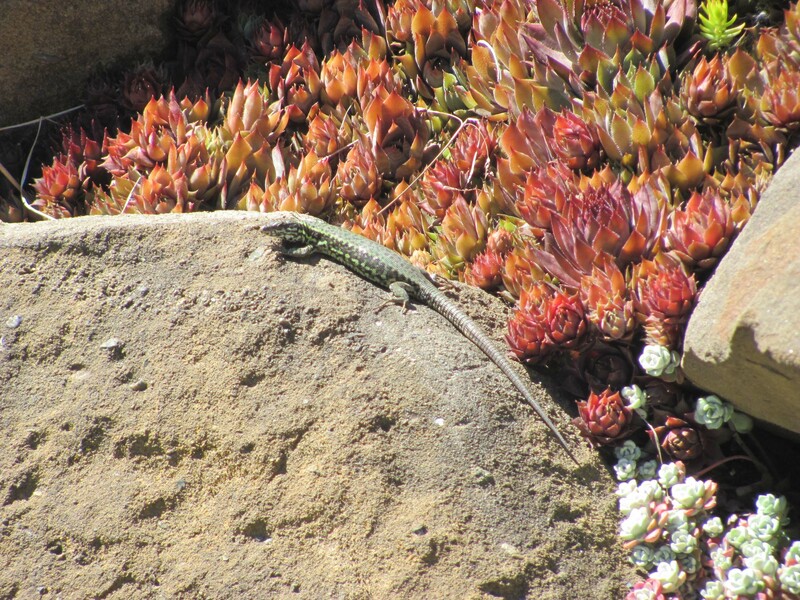 If anyone else in the region finds Wall Lizards, please report it – and have a look around to see if the lizards have spread to other gardens. Better yet, catch them and take these invasive lizards out of our environment since you don’t need a permit now. The only acceptable humane methods to euthanise reptiles (which doesn’t involve decapitation – i.e., ruining the specimen) requires injection of chemicals by a qualified veterinarian. In the bad old days reptiles were put in a freezer, but now it is considered cruel. Either way, I’d like the specimens as a record of the species’ presence that far north on Vancouver Island. I am not sure if FLNR thought about how people are supposed to destroy lizards and non-native turtles when they put these animals on Schedule C of the Wildlife Act. As I said in a previous post, Wall Lizards also have been found in Mill Bay and Denman Island, and it would be good to get specimens from both of these new localities. The single lizard I have from Denman Island is small (3.1 cm SVL, 8.4 cm TL). 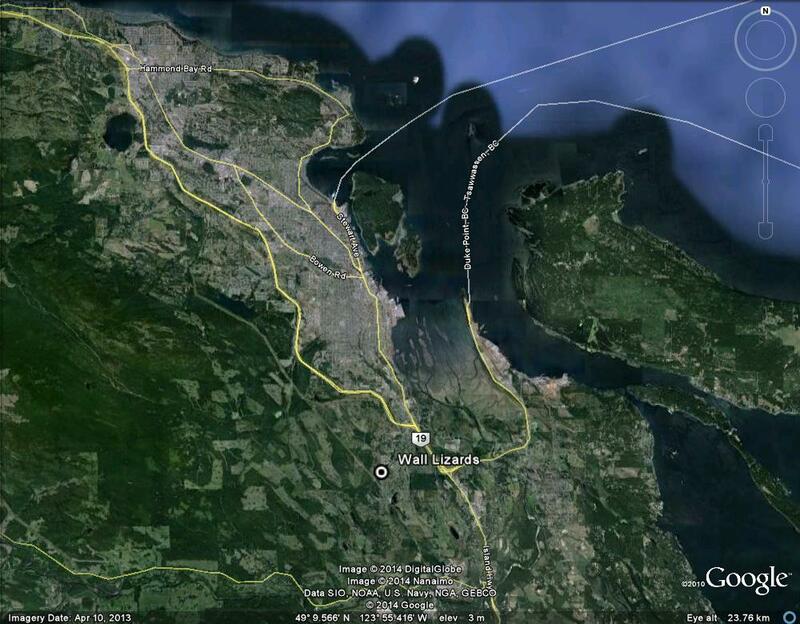 I’d also like more from Triangle Mountain in Metchosin if people in that area catch a few. Matsuda, B.M., D.M. Green, and P.T. Gregory. 2006. Amphibians and Reptiles of British Columbia. Royal British Columbia Museum Handbook, Victoria, 266 p.